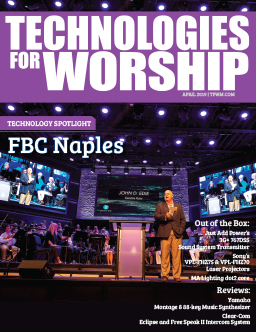 In the ongoing quest to improve house of worship audio systems, engineers and purchasing committees often warm to the benefits of adding digital snakes to their signal chains. And why shouldn’t they? After all, there are several intrinsic advantages to heading down the digital signal path. There is a concern, however, in that often houses of worship will look to implementing digital snakes for potentially the wrong reasons, at the wrong times. One of those wrong reasons would be to go with a digital snake solution just for the sake of “going digital”. Depending on your setup, it may not make sense to bring a digital snake into the mix just yet. Technology should never be implemented just for the heck of it, there should be a goal in mind— a process, an endgame. Let’s face it, digital has many very practical benefits. 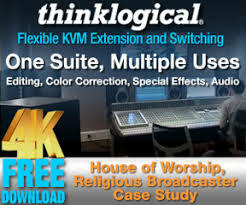 For example, after going with a digital snake— and this refers specifically to the length of cable running from your Front Of House (FOH) console to your stage— you no longer have to run scores of thick, heavy analog copper cable through the walls or the floor of your facility in order to complete your signal path. Instead of having to pack your conduit (if you are lucky enough to have conduit) with multiple bundles of analog copper cable, you could potentially run some limber fiber, coax or Ethernet type cable instead. Even though that sounds easy, it’s not the whole picture. This article is certainly not meant to turn you off going with a digital snake, but it may be wise to delay your purchase for a while, depending on where you are with your audio upgrade. Ask some fundamental questions, such as, what are your long-term goals? Is your FOH console analog, or digital? What do you want to do with the audio that is running through your board? Are you going to want to split it off to a broadcast room? Do you want to take it live to the web, or carve it up and save it as audio files or podcasts for download? Do you have a monitor console for your musicians and if so, where is it located? Are you intending to send the audio to another building? All of these questions (and more) should be part of the quest to develop your endgame. Answering these questions will help you better determine whether now is the right time to implement a digital snake into your audio signal path. Otherwise, if you are bringing in a digital snake because you heard it was cheaper and the right thing to do, you may run into some unforeseen costs that you weren’t expecting. And of course, no one wants that. What is A Digital Snake? To put it simply, analog snakes and digital snakes perform the same function. The point of either an analog or digital snake is to move audio from point A to point B, as in from your stage input to the FOH console. Even though there are different flavors of digital snake, each with different characteristics (communication protocols, cable types, etc.) in the end they are basically information pipelines. The snake reference is used because the length of cable is coiled up (kind of like… a snake) until it is fed out from component to component- such as from the instruments on the stage to the FOH console. An analogy when describing the function of a digital snake: picture a television cable. Even though television cables deal with a completely different transfer protocol, you have several channels that come in over one single pipeline. Similarly, a digital snake is delivering several channels of audio over one cable. The ability to isolate and work with multiple audio channels over smaller, nimbler cable is part of the appeal of going with a digital snake solution. Not only is the cable smaller, it is also much easier to lift. For transportable situations like outdoor concerts and mobile worship, lugging around a digital snake takes far less effort than hefting about analog copper cable to run for all your required channels. Some digital snake systems allow you to run up to 512 channels of audio on one single cable. Comparatively, an analog copper bundle of cable for 512 channels of audio would be… well, keep your chiropractor’s number on speed dial. Further developments are being made all the time which increase the capacity and the functionality of digital snakes. Digital snake systems give you more functionality and control over your audio. Many digital snakes have microphone preamplifiers, (mic pres) and Digital Signal Processing (DSP) built in, which you can access either from the board or though software, without having to buy extra boxes. Buying fewer boxes equals paying less cash, and everybody wants that. Another big advantage to a digital snake is the way it handles an audio signal. Copper wire is susceptible to RF interference and grounding issues, which can obviously affect your audio signal in the form of buzzes, crackles and pops. Luckily, nearly all analog snakes are built with shielded cable and shielded analog copper cable is less susceptible to RF than unshielded. However, it is still not completely immune. Power is also a consideration. If you were to run your analog cable beside power cables, or place your analog snake too close to your breaker box, you still run the risk of picking up interference, even if your cable is shielded. With digital snakes, for the most part you alleviate that problem, if the chassis is isolated. You can still technically have grounding issues with Category type cables, because technically there is still copper in them. Most manufacturers ground isolate the chassis so grounding will not be an issue. It is not an issue at all with fiber optic cables. For example you can use fiber between buildings or areas on separate power feeds with no fear of ground loops at all. So far, everything points to digital snakes being the answer to your signal flow woes. It all sounds too good to be true, until you factor in the bigger picture. Keep in mind that most of your devices on stage- your mics, your guitars, your baby-grand piano- are most likely starting out as analog signals. In order to push those signals over a digital snake, you will have to convert them from analog to digital. A to D (Analog to Digital) and D to A (Digital to Analog) converters are needed for this purpose. A to D and D to A come in a variety of different flavors and are manufactured by various different companies. That means that they will all handle your audio differently. What it also means is that for every time you have to convert your signal, you are adding potential latency to the signal delivery. You may think a few milliseconds doesn’t seem like much— and it certainly doesn’t when you are speaking through a public address system in a supermarket announcing that someone’s lights were left on, but we’re talking about live audio applications. A few milliseconds can mean big trouble if it turns into a noticeable delay between your devices on the stage and your console. This is an aspect of implementing digital snakes that is commonly overlooked: the fact that from one point to the other, you may be implementing several different boxes to get your signal where it needs to go. It is certainly something to keep in mind when you think about your big picture. In an analog snake, every single channel has six points of solder, as in three points on one end and three points on the other. If you multiply that by however many channels you have in that snake, you multiply your chances of having a cold solder joint, or damage from the cable flexing over time. Of course the same issues apply for digital snakes in regards to wear and tear, because we’re talking about crimped wire connections from one point to the other, and many times capped with plastic Ethernet ends which can be easily damaged. There’s probably a black hole in space that holds all of the broken Ethernet cable end tabs, as well as the multitudes of lost socks. Ethercon connections (made by Neutrik) can solve the problem of breaking the tab off your Ethernet cable. Even so, if you’re plugging and unplugging your cables multiple times every day/week, then you need to make sure you keep testing their reliability. If you are relying solely on one single cable to run your whole rig, then you need to be extra careful. If that cable dies, so does your show. And no one wants that. That gets us into redundancy. Some digital snakes come equipped with redundant power supply, which essentially means that if power is severed in one feed, another one picks up where it left off. The same type of idea is applied in some digital snakes for the audio signal. Basically the redundancy is built into the system so that if one of your cables bites the dust, there’s another one ready to step in and do the job. However, this also can add latency to your audio, seeing as in order to have that redundant feed, there needs to be consistent two-way communication over the cables, from the snake to the board and back again. Perhaps the most common issue that contractors and engineers have with digital snake systems is the familiarity factor. Many folks know how copper handles audio. They know how to troubleshoot when something goes wrong, for the most part. They do not need to have any experience in IP protocol in order to determine if there is a problem in their signal flow. Not to say that you need to have IP experience as a pre-requisite to using a digital snake. However, you may still find contractors to a large extent are just as happy pulling analog copper lines through your facility as they are running a digital snake. From the 30,000 foot perspective, your facility needs to look at the endgame for your audio signal path. The more you think ahead, the better off you will be. What this means is, try to take into account all of the variables in your system, including some that have not even been implemented yet. What types of instruments do you have on stage, and how far is the stage from the FOH console? Do you have a monitor console, personal monitors, or cable runs that need to be sent to broadcast consoles or for web streaming? A term that you may come across in this process is “deliverables”. What are your deliverables (audio, video, etc.) and what is the best method by which to get them from point A to wherever they need to be? Think of the reasons why you want a digital snake. If you are doing a renovation, and you are increasing your channel count from 16 channels of audio to 48 channels for example, if it is an older building, there may not be room in the conduit to run an additional 32 lines of analog copper. You may have no choice but to go digital because of the conduit path. That would be a pretty good reason. Another reason would be if you are already in the process of purchasing a digital console for FOH. If that is the case, then it would be a good time to consider going with a digital snake, because an instrumental link in the chain is calling for digital signal anyway. This way, potentially you would only be converting your analog sources at the stage, and then running digital signals to the board and through your speakers. Are you interfacing with other digital products? If you are taking analog signals from the stage in the form of guitars and vocal mics, converting them to digital to run the length of the snake, and then converting back to analog in order to get into your analog FOH console, then is the cost of converting those signals going to be worth the potential money saved by installing a digital snake? Consider also microphone preamps. These little guys are extremely important to the way in which the system handles the signal- and so they play an integral role in ensuring the quality of the sound that comes out of the speakers. Some digital snake systems come with mic preamps already installed, and of course they vary in quality and customizability. Some digital snake systems give you the option of remote controllable mic pres, which is an extremely handy feature if your mic pres are located up at the stage. 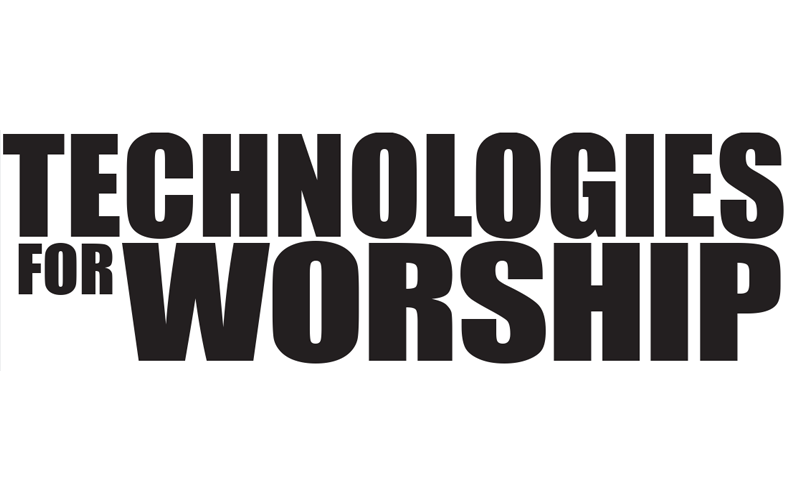 If your house of worship is ready to take your audio setup digital, consider that, as in all things, planning and foresight are keys to staving off potential problems throughout the journey. Digital snakes are but one link in the chain, and it is important to comprehend their place in the process of taking your audio system to the digital realm. There is not, unfortunately, one product that will solve all of your problems. However, if you plan out your process, and implement digital snakes in a way that makes sense as far as cost and compatibility, you may find yourself on you way to having a system that increases the versatility and effectiveness of your audio delivery. That in turn, will end up having a bigger impact on the people in the seats. And everybody wants that.